Atlas Car Transport is a Houston based car transport company. Although Atlas Car Transport services the entire US market including Hawaii and Alaska, we never lose sight of our Texas grown eye towards customer service. Atlas Car Transport ships all kinds of vehicles including: cars, trucks, suvs, campers, trailers, sports cars, jeeps, boats, golf carts and construction vehicles. If you have to ship something that runs on gasoline or diesel, give us a try. We are sure we can give you a cost effective shipping quote along with some great customer service! We are open from 8A.M. to 6 P.M. central standard time to better accommodate your needs and concerns. We can locate the position of your vehicle at all times. We are dedicated you from the beginning to the end and we will make this experience your best. We both share the same goals so let us put our heads together and deliver success! 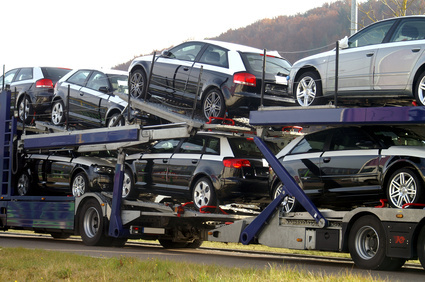 Atlas Car Transport is one of the most reliable vehicle transport companies in the automotive transportation industry. Atlas Car Transport prides itself on being one of the nations top car transporters. Bringing together people that are trying to ship a vehicle cost effectively with a fleet of the best drivers that our country has to offer has always been the number one goal for Atlas Car Transport. This focus on customer service has been a key driving factor in the success of Atlas Car Transport. Any car transport company can take a vehicle shipping quote, but it takes hard work, dedication and pride to become one of our nation's most used car transporters. We do this by educating our clients on the car shipping process, answering any questions they may have about getting a car transport quote, and then staying with them through the car transport process to ensure a safe and timely delivery of their car or truck. By continually working on our logistics, Atlas Car Transport continues to deliver your vehicle on time and with some of the lowest car shipping prices in the industry. Due to current market conditions, if you are shipping a car in Texas or shipping a car from Texas, we can offer some incredible pricing...so get in touch! Atlas Car Transport can provide instant quotes for most cars and trucks. We also ship golf carts, ATV's, campers, winnebagos, sports cars and boats. If you require a custom quote, please don't hesitate to contact us today using either email, instant chat or the good old telephone. Our team is happy to speak with you. Copyright 2019 Atlas Car Transport.